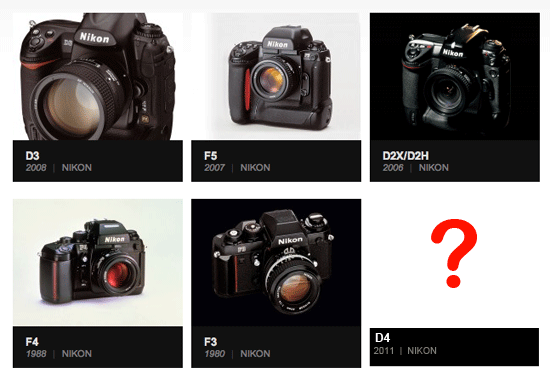 Nikon D4 designed by Giugiaro? Giugiaro designed Nikon cameras in the past, will the D4 follow? I received a tip that Giorgetto Giugiaro is/was involved in the design of a new Nikon camera that will be released later this year. His company Italdesign has designed almost every high end Pro Nikon camera since 1980 (F3, F4, F5, F6, D3). We know that Nikon is conservative and likes to work with the same people they have used in the past. I will give this rumor 80% probability. This entry was posted in Nikon D4 and tagged Giorgetto Giugiaro, Giugiaro. Bookmark the permalink. Trackbacks are closed, but you can post a comment.